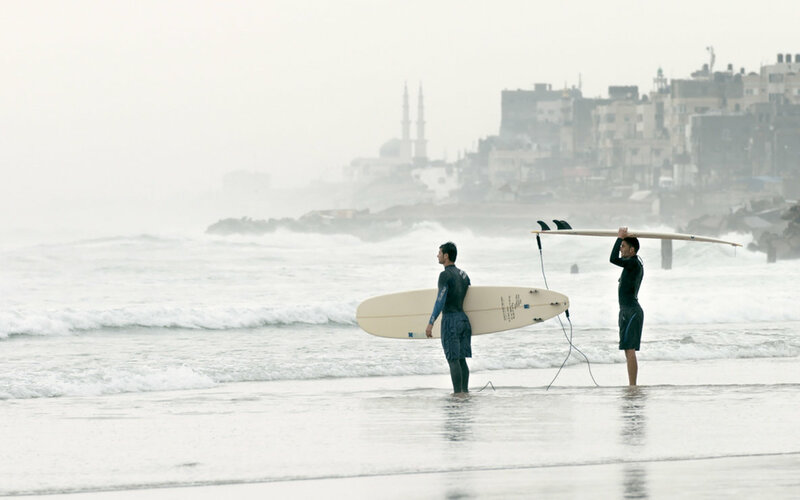 One of the best films at this year's Doc Fortnight follows a group of surfers as they surf and try to get by in their town in the Gaza Strip. Truly great film is full of wonderful people incredible images and one hell of a story . Its the tale of a group of people unable to go anywhere so they turn to something that gives them a fleeting sense of freedom. It will make you smile as it breaks your heart. A quietly political film, there are no grand speeches only aa reporting of life on the sea shore. If one wants to know what the film is all about one need only look at the bombed out building s and listen to the stories of life in the Gaza strip to know what the situation is. Its quiet revelations are more powerful than horrible stories or pictures because through the accumulated time spent with all of the people in the film we come to truly understand what the state of hostilities between Israelis and Palestinians is doing to the people and the landscape. And of course the film is about surfing. Beautifully shot the film has some of the best surfing sequences I've seen in a while. This is just a great movie.